This story about a young lesbian in Victorian England is just dripping with historical detail and lush language. 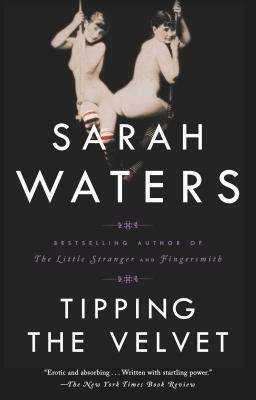 I know everybody's favorite Sarah Waters book is supposed to be Fingersmith, and I liked Fingersmith a lot, but I remember really really loving this one. I want to read it again sometime. Also Victorian-era (which is my favorite!) I loved this story of a woman who reinvents herself and becomes a midwife who provides birth control and abortions. Definitively feminist slant and wonderful historical detail. I was skeptical about reading a lengthy novel about the building of a cathedral, but it is SO MUCH more than that. I was completely engrossed in the lives of the many characters in this sweeping novel set in the 1100s. This may be the only historical novel I've read set in the 1960s, but Adichie brought that period in Nigeria vividly to life. Everything she's written is fantastic, but this one was my first and the only one I'd consider historical. Seventeenth-century Amsterdam is fascinating, and I was SO excited to read this novel about a young woman being married off to an older stranger who gives her a miniature replica of their house to decorate as a hobby. Many intriguing mysteries and secrets are woven among the period details to make this novel difficult to put down. Speaking of books that are hard to put down, this one (and the two sequels) got passed all around my family for a while several years ago. Set in Victorian London, the protagonist is an independent, headstrong woman (my favorite kind!) and I loved everything about the story and characters. This epic begins in the late 1800s when a 7-year-old girl is taken from her family to live in a leper colony. The novel spans her whole life, which is not only fascinating, but longer and happier than you'd think. Set in Hong Kong, the story moves between two timelines; one in the 1940s and the other in the 1950s. It focuses on events surrounding the World War II occupation of Hong Kong by the Japanese, and the relationships between several British and Chinese people. Lee's writing is just beautiful, and I also highly recommend her recent contemporary novel, The Expatriates. This teen series set in Manhattan beginning in 1899 was a ton of fun! Full of scandal and intrigue, the chapters all begin with snippets from society pages or etiquette manuals, adding lots of period detail. 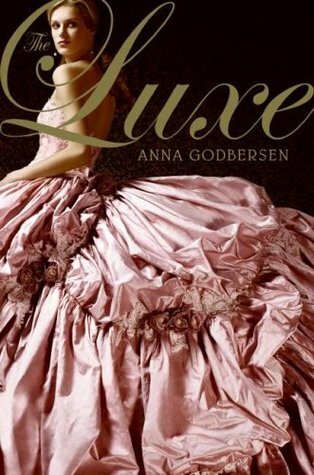 Of course, what reeled me in in the first place were the gorgeous dresses on the covers! I'm a sucker for anything set in Russia. This life-or-death adventure story about two young men during the Siege of Leningrad captures just the sort of dark humor common in many Russian novels. What's interesting about this list is that these aren't necessarily my 5-star reads. I usually rate my books on Goodreads soon after reading them, but often the ones I give the highest ratings to don't stick with me, or vice versa. But when I sat down to think about books to put on this list, these are the ones I thought of right away. 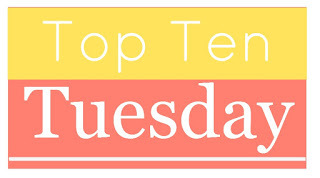 What are your favorite historical novels? I love historical fiction, too, but I've actually only read ONE of the books on your list. MOLOKA'I was a very memorable one. I loved it. I really like Jennifer Donnelly, too, and need to read her Tea Rose series. I love historical fiction. 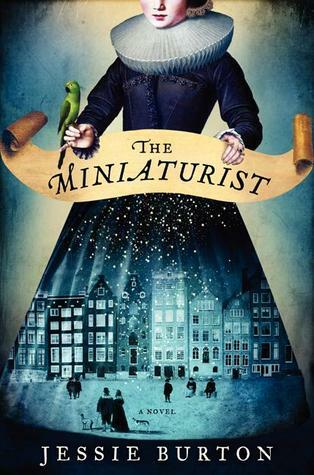 I have The Miniaturist sitting on my shelf waiting to be read, but I just haven't gotten around to it yet - soon! I've only read one of these books ("Molokai," one of my all-time faves), but almost all the others sound so good the way you described them! I have a weakness for Victorian England too. Have you ever checked out Tasha Alexander's Lady Emily mysteries? You might enjoy them; they're set in the late 1800s and feature a brilliant protagonist who defies the social norms of her day. It's one of the only series I actually manage to keep up with. That sounds so good! I can't believe I haven't heard of those before. Cold Mountain by Charles Frazier. The Gate of Angels by Penelope Fitzgerald. True Grit by Charles Portis. Wolf Hall by Hilary Mantel. The Year is '42 by Nella Bielski. Blood Red, Sister Rose by Thomas Keneally.